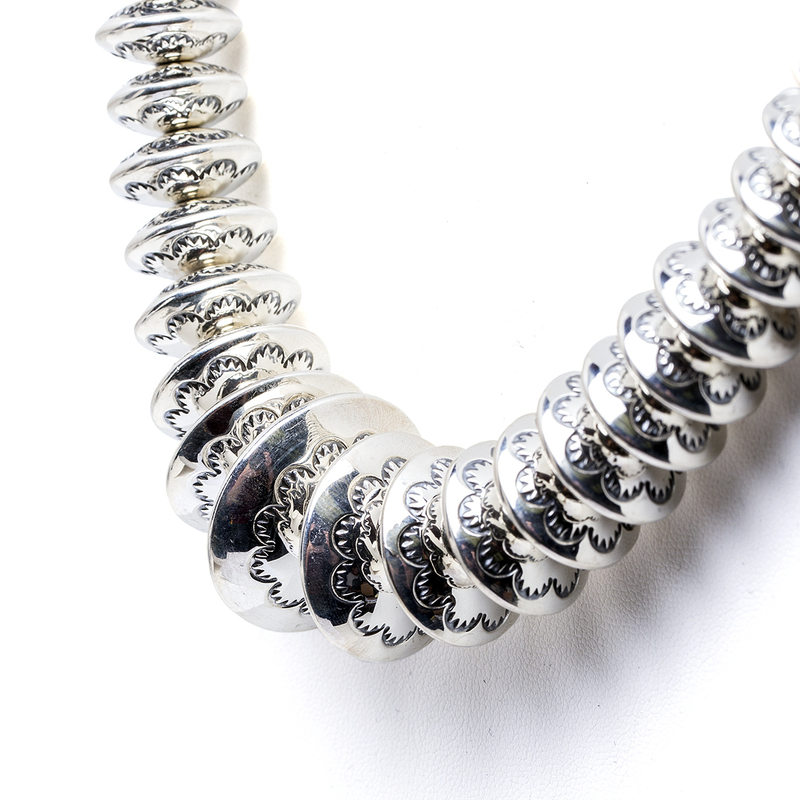 Brilliant shining sterling silver graduated beads, also known as “Navajo pearls”, are a perfect fit for any Western style! Beautiful scalloped stamps on each handmade bead give this necklace a magnificent texture and a subtle beauty. This necklace is guaranteed to compliment any outfit you may have! Made by Navajo artist Larry Pinto, this necklace measures 21 1/2″ in length. It is hallmarked “LP” and “Sterling”. Necklace weighs 144.3 grams. Beyond this sparkling beauty, we also offer free gift wrapping with each purchase! 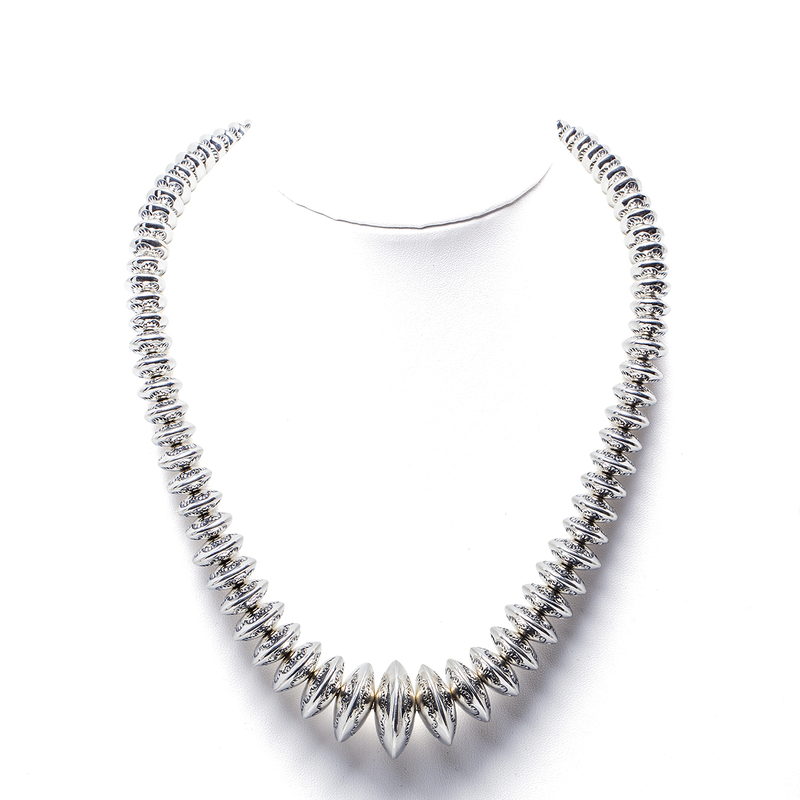 Navajo artist Larry Pinto Necklace boasts brilliantly shining Sterling Silver Beads! Perfect for any Western style you can think of!